London City Stone Wallpaper is a great way to add interest and character to your home this season. 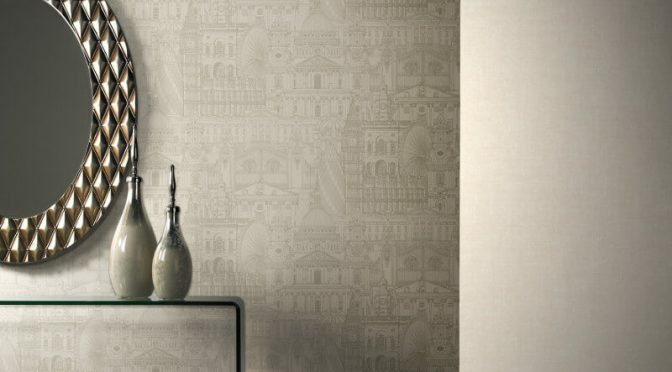 First of all, this wallpaper is part of the exciting Tempus Wallpaper Collection. So it is sure to make a welcome addition to your walls. This particular design is inspired by London and features a vintage style cityscape. Furthermore, the look is brought to life with a timeless stone colour scheme. It will easily transform any space. Finally, the SK Filson London City Stone Wallpaper is versatile in design so can be used alone or teamed with other designs from the same collection to complete the look.